Refinishing is an art. Its colours and formulations change and grow more complex every day. And every day vehicle owners, bodyshops, fleets, trailer builders, and insurance companies demand a perfect colour match. We make sure they are not disappointed. 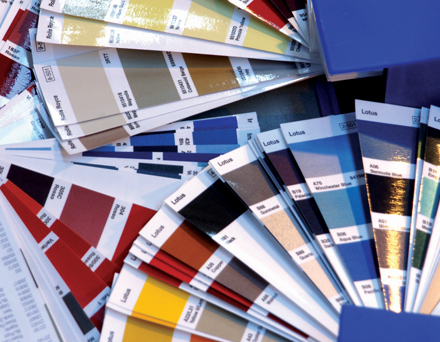 We work actively with the world’s car manufacturers and pigment suppliers to match each of the thousands of new car colours and finishes produced every year. At Nexa Autocolor we have expert colour matching teams all over the world to provide a classleading comprehensive and up to date colour matching service. At Nexa Autocolor we continually strive to achieve excellence and to create value for our customers. This is supported by our commitment to providing a superior colour match, this enables our customers to match colour more quickly and easily on any vehicle. Ensuring the highest quality in everything we do – from the products we make and partnership programmes we deliver, to the way we do business and deal with customers. Delivering excellent customer service – from Nexa Autocolor onward through the distribution chain to the bodyshops, enabling them to provide excellent service to the vehicle drivers and owners.